This chic home mixes old New Orleans with new! 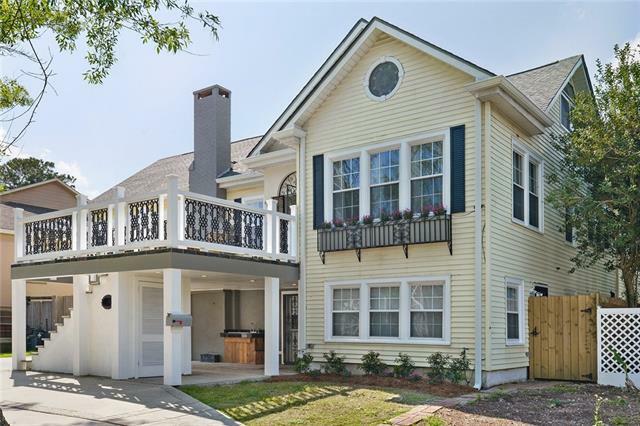 Move right in to this classy 6 bed, 6.5 bath home that has already been renovated just for you! Great floor plan with formal dining & study. Other features include new windows, new roof, new garage doors, new gutters, built in pool replastered, refinished hardwood floors, and quartzite counters. Amazing mother in law suite or Airbnb with great cash flow! X Flood zone and priced below appraised value. 685 sf of finished liv space NOT included in the liv sq ft. Listing provided courtesy of Tiffany L Riddle of Keller Williams Realty 455-0100.